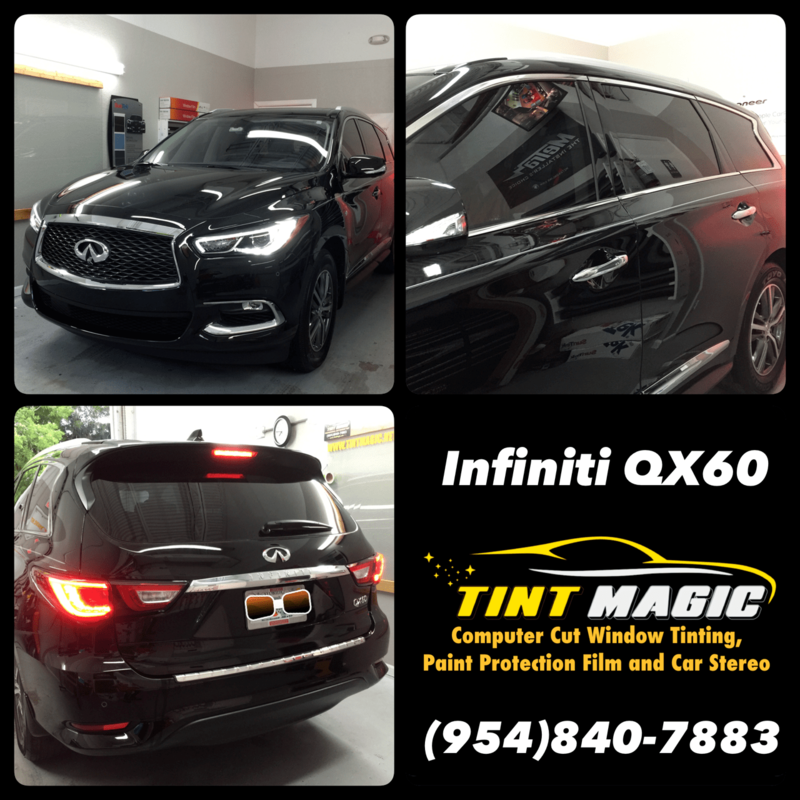 Infiniti QX60 at Tint Magic Window Tint Coral Springs. We have applied CXP 18% front windows and 55% rear windows for the best heat rejection and up to 99% UV protection. Call us for the best quality and service! (954)840-7883. Crossover capability doesn’t come at the cost of luxury or comfort in the stylish QX60. A creamy ride, a nicely appointed interior, and an easy-access third row highlight this seven-seater. The engine is a 295-hp 3.5-liter V-6 driving the front wheels; all-wheel drive is optional. The EPA rates the hybrid model at 27 mpg highway. An 8.0-inch touchscreen is standard; rear-seat entertainment and onboard Wi-Fi are options. Also available are adaptive cruise control and automated emergency braking.